Nearly 15 percent of the people who didn’t vote in Texas’ 23rd Congressional district that year told researchers at Rice University and the University of Houston that a major reason they didn’t cast a ballot was that they didn’t have an ID. Here’s the thing: Nearly every single one of those non-voters — around 98 percent — actually had the proper ID to vote. Latinos, who make up the majority of the district’s population, were significantly more likely than white voters to say that the state’s voter ID law was more restrictive than it actually was. That has created an advantage for Republicans, who attract the lion’s share of the district’s white vote. In the end, Republican Will Hurd beat Democrat Pete Gallego by a mere 1.3 percent of the vote. “You can make a pretty good case that, had voter ID legislation not existed, Pete Gallego may very well have defeated Will Hurd,” said Mark Jones, the Rice professor who conducted the study. With Texas voters ready to go to the polls tomorrow, it remains an open question how confused voters remain over the state’s law. And it remains secret just how much Texas officials have done to educate voters about the law. Texas’ 2011 voter ID law is perhaps the most famous of the widespread voter restrictions created in the wake of President Barack Obama’s 2008 election. It mandated that anyone voting in the state present a valid form of ID, like a current driver’s license or a concealed carry permit for handguns. Several court rulings over the years held the law intentionally discriminated against black and Latino voters. A 2016 decision, which came down a few months before the election, permitted the core of the law to stand, but allowed Texans to use documents like recently expired driver’s licenses, birth certificates or current utility bills to prove their residency. The Texas Legislature codified those rules into law last year, and another court ruling dismissed a legal challenge to the new rules. The 2016 ruling noted that the state’s original voter ID bill allocated funding for educating voters about the law’s provisions, but the court said that this education campaign was “grossly insufficient.” It held that one of the plaintiffs in the suit, Floyd Carter, was illegally prevented from voting due to the law. The court directly cited the ineffectiveness of the education campaign as one of the factors behind his disenfranchisement. “The State’s lackluster educational efforts resulted in additional burdens on Texas voters,” the decision reads. In addition, while Texas lawmakers said they had modeled their bill on voter ID laws already on the books in states like Indiana, Georgia and Wisconsin, the court held that Texas’s education campaign was much less extensive than what was mounted in other those other states. When Texas passed its revamped voter ID law last year, it also doubled its spending on public information campaigns to educate voters about the documentation they need to vote. The state agreed to spend $4 million between the 2016 and 2018 elections – twice the $2 million it had spent in previous two-year federal election cycles. Texas officials have resisted attempts by journalists to obtain information on education spending in 2018. The state denied Texas reporter David Rauf’s public records request seeking information on the 2016 campaign, but did disclose some spending data for the 2014 election. Officials cited the previous lawsuits, though state law doesn’t mandate that information related to the lawsuit be kept from the public. In August, we asked the state for records from these programs, including data from a series of surveys and focus groups conducted on the public’s knowledge of the voter ID law. Officials have not yet produced any documentation, and, shortly after we made our formal records request, the secretary of state’s office sent a letter to the Texas attorney general requesting a ruling to justify redacting significant portions of the documents it intends to turn over. We have filed a letter with the attorney general’s office preemptively challenging these potential redactions. The study by Rice University and University of Houston shows that the evolving voter ID law confused some voters, scaring them into not voting. Under the law, anyone voting illegally can be prosecuted, even if their improper ballots were cast due to ignorance about the law. Earlier this year, Texas resident Crystal Mason was sentenced to 10 months in federal prison after violating the terms of her probation for a 2011 tax fraud conviction by casting a ballot in the 2016 election. As a convicted felon, Mason had been stripped of her voting rights under the state’s felony disenfranchisement law, but claimed she was not aware of the rule when she cast her ballot. As an added irony, since Mason was only able to cast a provisional ballot, her vote wasn’t even counted. Scott Houston wanted to vote in the upcoming Senate election, in which Republican incumbent Ted Cruz is up against Democratic upstart Beto O’Rourke. But he didn’t think he could. He got in trouble in 2012 for having a small amount of marijuana in his car. He couldn’t afford to pay the fine, racking up thousands of dollars in late fees, and ultimately losing his driver’s license. Houston thought his lack of a license meant he wasn’t eligible to vote. When we told him about the other acceptable forms of ID, Houston was elated. He had no idea he could use a birth certificate to prove his Texas residency. “They sure do send out things in the mail when they want you to vote for a certain candidate, but it’s never about telling people what sorts of IDs you need to vote,” Houston said. Christina Sanders, the Texas state director for the voting advocacy group Spread the Vote, hears stories like Houston’s daily. Unpaid ticky-tack fines that often penalize people for being poor, like traffic tickets or minor drug offenses like Houston’s, are a major roadblock to obtaining the free identification cards that serve as a photo ID alternative for voters, making it even more crucial that voters understand all the myriad forms of acceptable ID. Nina Perales, vice president of litigation for the Mexican American Legal Defense and Educational Fund, says it’s impossible to tell if confusion around voter ID will again swing future Texas elections. Her uncertainty stems from fact that the state has largely failed to disclose information about its efforts to educate voters about ID requirements. A bill introduced last year by Democratic state Rep. Eddie Rodriguez would have made all information about voter ID spending public by default, but it died in a GOP-controlled committee. Rodriguez said his office has been consistently flooded with calls from residents asking what they need in order to vote. Rodriguez’s district is in Austin, the state’s capital, and he sees his constituents as a more politically informed electorate than much of the rest of the state. If his constituents are confused, Rodriguez said, the problem is most certainly worse elsewhere in Texas. Ultimately, any education effort is likely to fall short, at least in part. 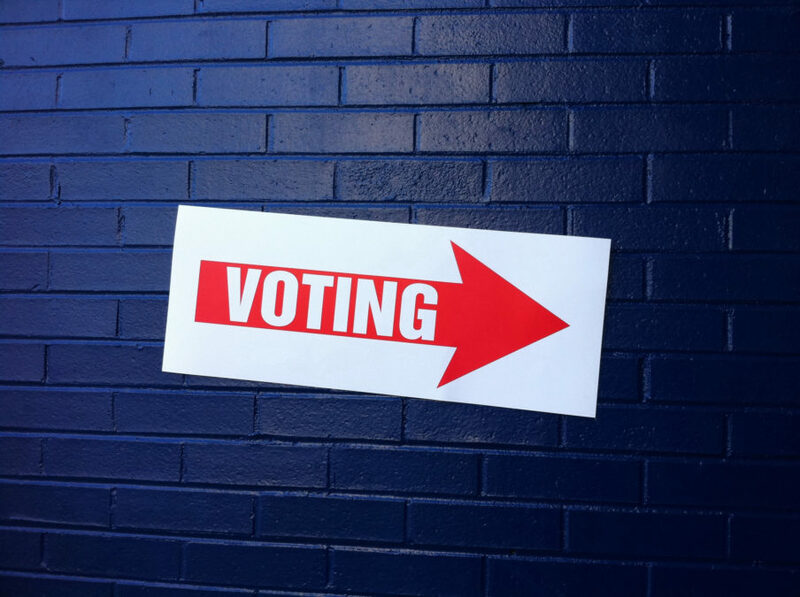 Any law that makes voting more difficult necessarily dissuades some people from voting, regardless of government outreach efforts, said Jones, the Rice professor who completed the 2016 voter study. “People know we have a voter ID law, but they don’t know what exactly it means,” she said. “I do most of my work trying to put out the fire and making sure that people who are eligible to vote can vote.”Unpaid ticky-tack fines that often penalize people for being poor, like traffic tickets or minor drug offenses like Houston’s, are a major roadblock to obtaining the free identification cards that serve as a photo ID alternative for voters, making it even more crucial that voters understand all the myriad forms of acceptable ID.